I serve as the manager of Sonoran Permacultur Guild and as its lead teacher and lead designer. Sonoran Permaculture Guild offers workshops and courses, as well as consultation and design services to individuals, organizations, businesses, and governments. I teach workshops and courses with the Sonoran Permaculture Guild, Prescott College, and other organizations in the Tucson area and throughout the Southwest Drylands. I have a B.S. in Forestry, have completed two Permaculture Design courses, and have been awarded a Permaculture Diploma in the field of Education, Design, and Community Sevice by the Permaculture Institute in Sante Fe. 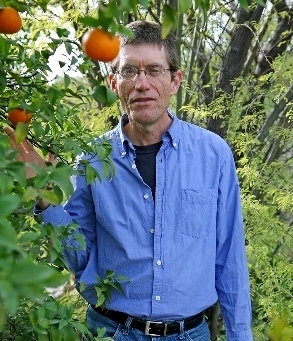 I am on the adjunct faculty of Prescott College, teaching classes and mentoring on topics such as Permaculture, passive solar design, water harvesting, and sustainable site planning and design. I manage the Sonoran Permaculture Guild certification course held each Spring in Tucson and in another Southwest city in the Fall, teaching the majority of the course content.